Muay Thai, translated into English as Thai Boxing, is the national sport of Thailand. 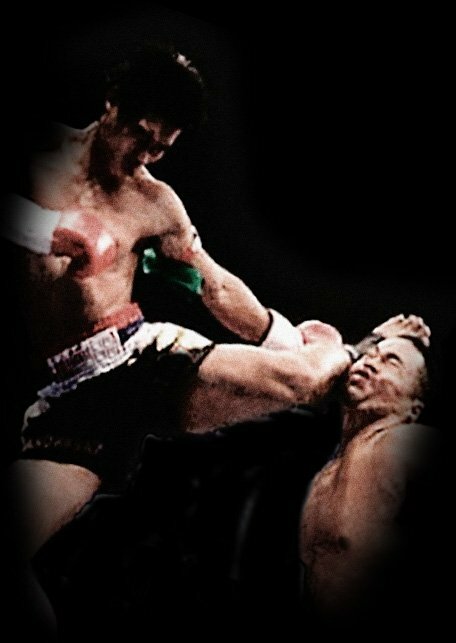 The Muay Thai style includes the use of punches, kicks, knees, elbows and clinching and is often referred to as the art of eight limbs. Training methods are designed to develop devastating speed and power, as well as to build excellent cardiovascular endurance. Fearless Fighting’s Muay Thai class teaches our unique striking system created by Rodrigo Galvanosi. This system was developed through years of competition and teaching experience. It combines Western Boxing footwork and punching, with Shaolin Gung fu hand movements, Wing Chun Blocks all infused into Muay Thai kicks, knees, elbows, and clinch. Class starts with jump rope and footwork-focused shadow box. Students are then partnered up to simulate combat and taught technique and biomechanics. Class ends with strength and conditioning. We believe learning skill in a controlled environment is the best way to encourage learning and avoid injury. Fearless Fighting offers Muay Thai to both men and women and can accommodate amateur and professional fighters as well as those who simply want a fighter’s workout in a safe training atmosphere.